We're often impressed by what Gigabyte can achieve at lower than the average price point on both Intel and AMD motherboards. While X370 motherboards support AMD's latest Ryzen CPUs and have most of the features that the newer X470 chipset has, it's still probably better to nab a more modern board, especially with 2nd Gen Ryzen. 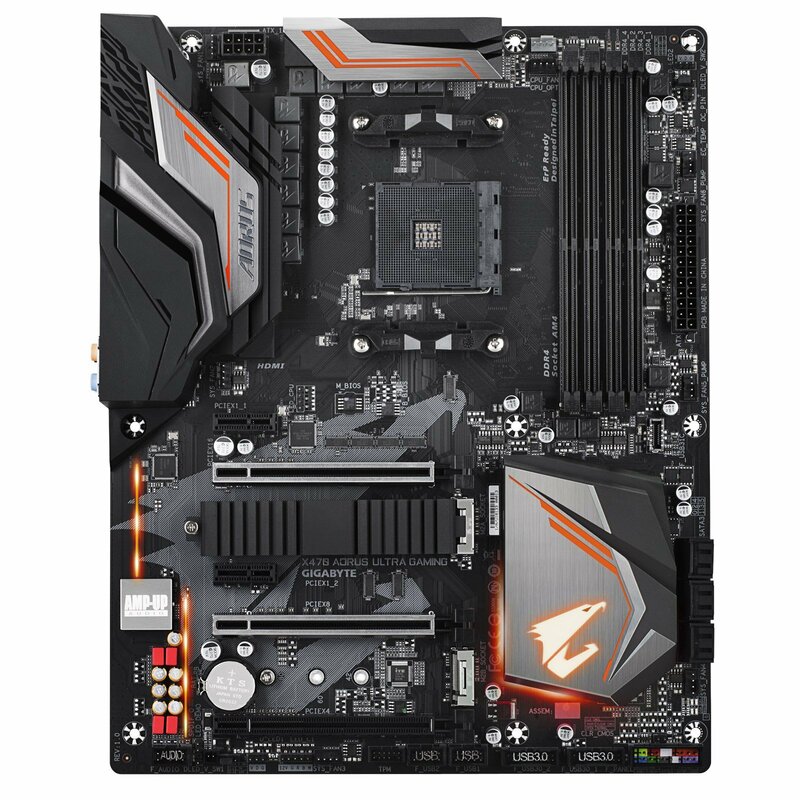 Thankfully, the X470 Aorus Ultra Gaming is currently one of the cheapest X470 boards around. At £128, it's less expensive than many X370 boards, too, so if you want the latest tech and don't have a budget that's so limited you should be looking at a cheaper chipset instead, then keep reading. 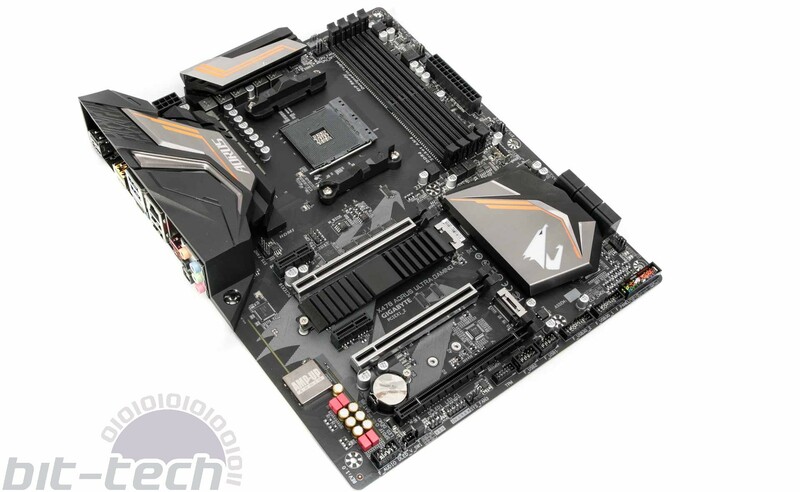 You're clearly not getting the full weight of Gigabyte's awesome RGB lighting with the X470 Aorus Ultra Gaming, such as we saw with its big brother, the X470 Aorus Gaming 7 WiFi, but there's a smattering of illumination plus plenty of RGB headers on the PCB should you wish to add your own LED strips to illuminate your case. Apart from the odd aesthetic omission, the only significant cutbacks you'll notice at a glance are a drop to just one M.2 heatsink and also slightly less elaborate power circuitry and cooling, with an 8+3 phase design and none of the dense, heat-pipe-linked heatsinks of the more expensive board. 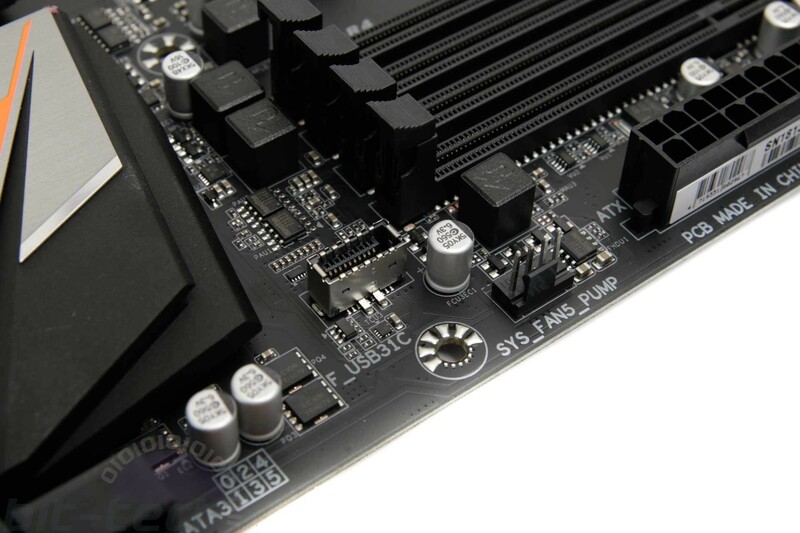 The board is surprisingly well-equipped otherwise, housing the usual six SATA 6Gbps ports, pairs of both USB 3.0 and 2.0 headers, and an impressive eight fan headers too, which is more than many far more expensive alternatives. Gigabyte's fan control area in both the EFI and its Windows software are excellent, so combined with an internal header for temperature probes that can be used to control fan speeds, there's plenty of scope here for building a powerful air- or water-cooled PC with lots of fans and tweaking till your heart's content. As if the USB headers weren't enough, you get a full USB 3.1 Gen 2 Type-C header on the PCB for compatible cases, and the audio is Realtek's ALC 1220 codec too. The layout is pretty good, all except the top M.2 slot really, which sits underneath the primary graphics card so isn't ideally located. The M.2 ports also have a slightly odd arrangement in terms of bandwidth and SATA support, too. The top slot is the only port that offers SATA M.2 SSD support, but it's also the only port that offers full PCIe 3.0 x4 bandwidth, with the lower slot only offering PCIe 2.0, albeit with four lanes. This wasn't identified in the specifications either until we mentioned it to Gigabyte, but the company has at least rectified this, so credit where credit's due. Unless you're using an older PCIe NVMe SSD, though, the lower port is an almost pointless inclusion given it's not compatible with SATA SSDs and will throttle most modern PCIe SSDs to half their maximum throughput. It would make much more sense to offer SATA support in the lower slot like MSI has with its X470 boards, but as the likelihood is that most people would use a single M.2 SSD, we can't get too hung up about it. The rear I/O panel sports a handy nine Type-A USB ports with four of these being USB 3.0, and you get Type-A and Type-C full USB 3.1 Gen 2 ports as well. The rear audio ouputs haven't been cut back either and offer eight-channel support as well as an optical output, and the LAN port is Intel-powered too. There's no Wi-Fi or overclocking and testing tools such as CMOS clear buttons and the like, but they're practically impossible to find on boards costing less than £150 these days anyway.